Anna Hansen serves up her delicious scroggin recipe, made by creating a toasted pumpkin seed and nori seaweed butter in the Vitamix that is then dehydrated into a flavourful crisp. 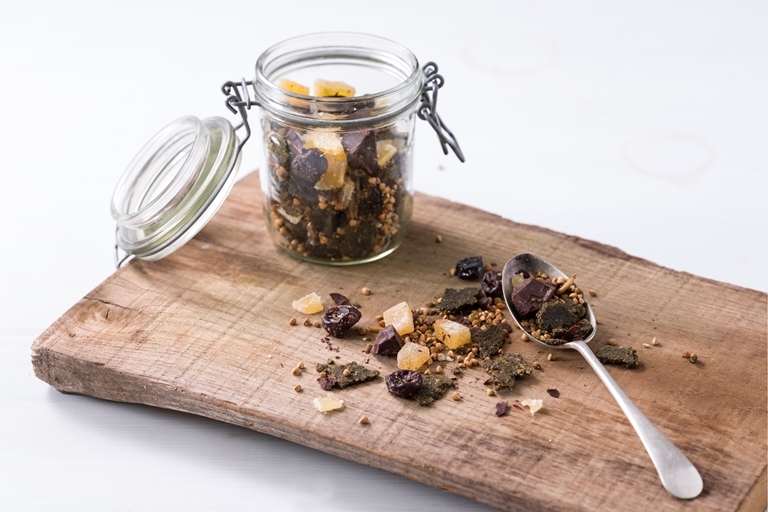 The crisp is then mixed with a host of tasty ingredients including crystallised ginger, chocolate and buckwheat. If you haven't heard the name before, scroggin is New Zealand's take on trail mix.